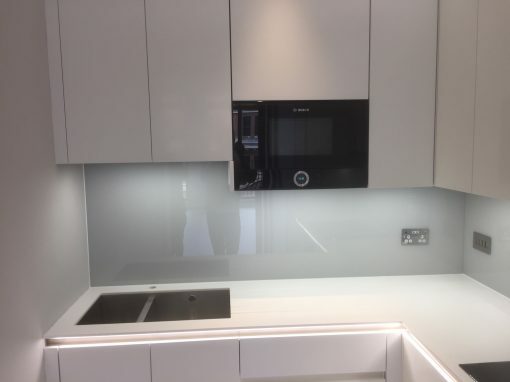 At Southern Toughening Glazing Ltd. we make it a point of duty to make sure that any of the kitchen splashbacks requested for by our Upper Edmonton customers are well fixed irrespective of the kitchen area that they are to be installed in. But we also know that some of the esteemed customers are Do-it-yourself enthusiasts. 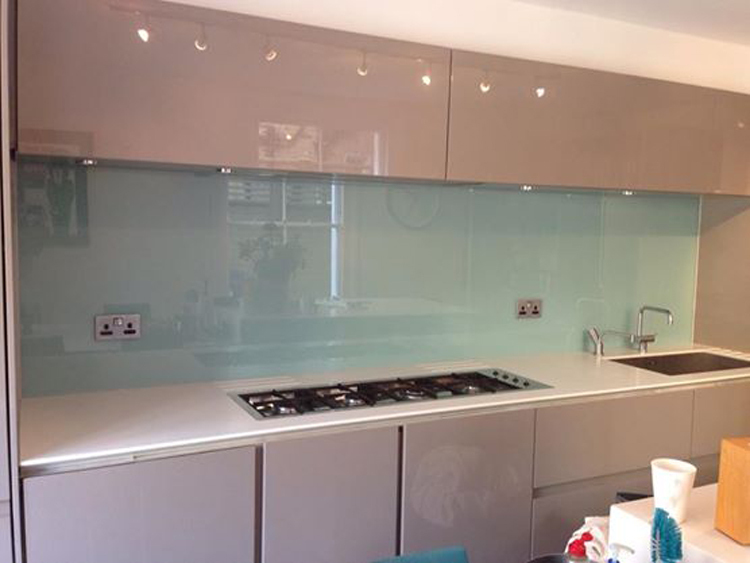 So for them, we are excited to just deliver the glass kitchen splashbacks so they can fix it in themselves. 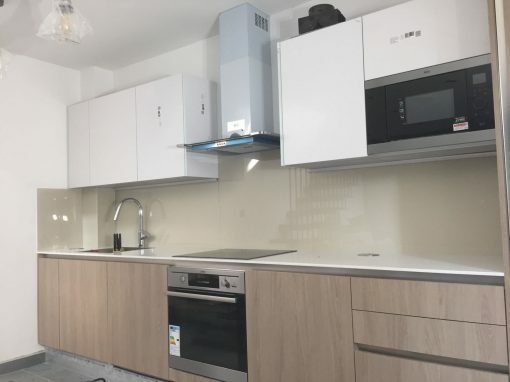 The simplest method to use in fixing your glass splashbacks to your Upper Edmonton kitchen wall is by applying an adhesive. 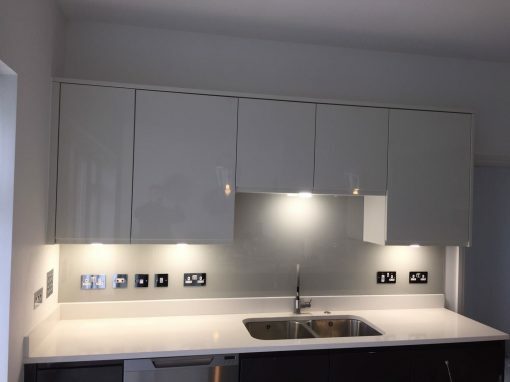 Prepare the wall parts that the kitchen splashbacks are to be attached to make sure that the surface is smooth, clean, sealed and even. 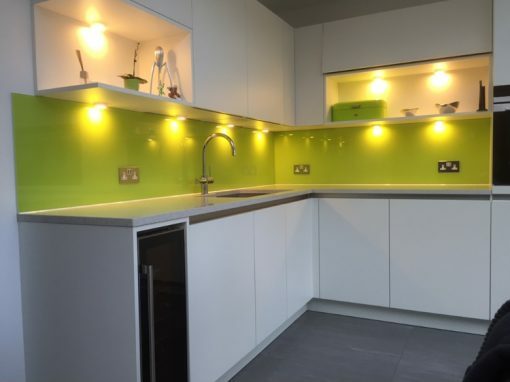 Lay the splashback on an even surface and then apply a silicone adhesive at the back of the splashback. Immediately, the adhesive sticks but bonding doesn’t fully occur until 24 hours time. After 24 hours, the silicone can be used to seal the 2-millimeter gap left by the tile spacers and also the surrounding perimeter.